Please be advised that I am currently in the “uploading documents” stage of this site’s development. Until such time that all material documents in my possession have been uploaded and made available for research purposes through this site; the further development and/or creation of other areas of this website will be procrastinated. I do, in fact, plan to add a message-board to this site. If sufficient demand is present; I may also add a chat room. The Chicago-area postal worker is currently without an internet source for local, job-related information exchange. The chicago postal worker.com, I believe, will change that. The construction of this web presence is, at this time, slow going. However, the pace is expected to increase soon. Its appearance will, at first, be bland; but will slowly become more exciting. Its scope will, at first, be narrow; but will broaden with not only my input, but also with—perhaps to a greater extent—the questions, concerns and information from you. If you could send more info on the chicago postal union i would greatly appreciate it. Thanks for taking the time to read this message to me. Here is a summery of 2004 news in the postal industry. Thanks to yakimaroofingco.com for helping to compile this list for me. I’ll share more about me in the next post. Today we have some fun facts about the USPS. After working in this industry for many years i can share some insider details and secrets many don’t know about. But the facts are definitely out there if you do the research. A simple Google search can give great results. Back in Alaska, the mail used could be delivered by sled dogs. However, in 60’s the last dogsled mail route was turned into an airplane route. Which is still used to this day. Sled dogs are still being used as a transportation source to this day. Many locals can get from store to store and get shopping done. And of course the Iditarod race is still going strong every year out in Alaska! Though it has always been against postal laws and regulations, there have been several instances on record where parents/family’s mailed their own children in back in the beginning days of postal routes. As fact, in the early 1900’s a baby was shipped to his mother who lived miles away! Weighing under the 15-pound limit, the baby’s caretakers only paid 25 cents for a postage fee. Oh my! Oh my! From the 80’s, the USPS Carrier Alert Program helped protect the wellbeing of elderly and in addition disabled postal service customers. USPS service carriers will alert emergency personnel staff members if they notice a buildup of mail at a home or other circumstances that might bring up an accident or illness that has occurred unknownly. This is just a few of the many good things that the USPS does for our citizens and communities. Stay posted for another post coming at you soon! Welcome to my site. I am the Chicago postal worker. 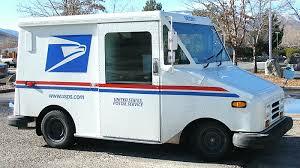 On this blog i wanted to document what it is like being a postal worker in a big city. I want share what it’s like having my job. I hope to keep this entertaining for all the readers. Any other postal workers will enjoy what i’m writing about and can probably relate to my blog in one way or another.